Hello everyone, welcome back! Today’s post is going to be a beauty product review. 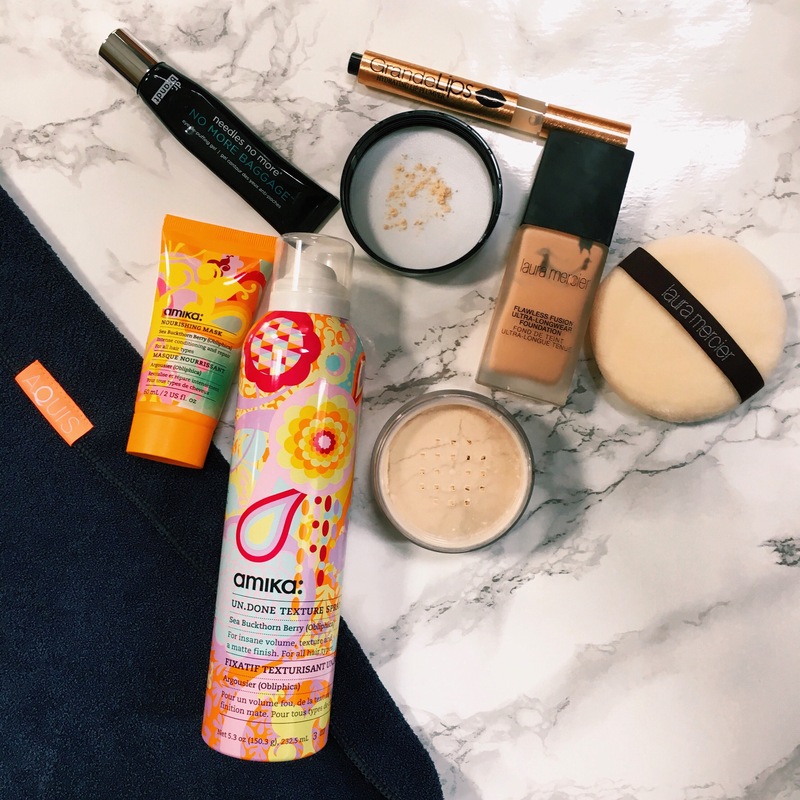 From time to time, Influenster sends me complementary products to review and over the past few months I haven’t shared most of them on the blog! With Sephora’s VIB Coupons rolling in (20% off for members starts on Friday!) it’s the perfect time to test out some new things at a lower price! Laura Mercier Flawless Fusion Ultra-Longwear Foundation. I’m always excited to try a new foundation out, but I never knew how much I would love a foundation until now. I have zero complaints about this one, even the price tag is worth it (though I certainly wouldn’t complain if it dropped in price a little bit…) I only need two pumps to cover my entire face, and it gives amazing full coverage while feeling super lightweight on my face. The formula blends out like an absolute dream, and the matte finish lasts all.day.long. This would be my number one recommendation to buy during the holiday sale, I plan on buying another in my winter shade! Laura Mercier Translucent Loose Setting Powder. I had been a fan of this before I received it for free from Influenster, so I was beyond giddy when I saw the full size sitting in my box! This cult-favorite really locks in your makeup for the whole day, without adding on any heaviness or settling into any fine lines. I find it really minimizes the appearances of my pores as well, which is such an added bonus since I first purchased it only expecting it to set my makeup! Amika Undone Texture Spray. As a lover of Amika products (you can see my post here to see what other products I love), I was stoked to see more Amika products come through the mail. This spray is great whether you’re looking to lock your curls into place, or just hold on to that messy tousled look that you woke up with. I hate the smell of conventional hair sprays, so this is a super replacement which actually adds volume, instead of just keeping what you already have in place. As with all Amika products, it uses rice starch instead of aluminum which I absolutely *love* – that alone would place them leaps and bounds above every other hair care company in my book! Amika Nourishing Mask Mini. You all know I love a good mask, and I think hair masks don’t get nearly enough play. This one may be the best one I’ve tried yet. The first time you use it, you won’t even believe how smooth and shiny your hair is! I know 20 minutes is a long time to leave something in your hair, but if you can swing it you’ll thank me. You can also buy it in an 8.5 oz tub, to save a little bit of money in the long run! Aquis Lisse Luxe Hair Towel. I try to avoid using heat on my hair as much as possible (I probably only use a hair dryer or straightener twice a week), so this fast drying towel is an absolute life saver for me. The texture of the towel dries your hair so much faster than a bath towel would, with the added benefit of not being as heavy and hard on your neck! GrandeLIPS Hydrating Lip Plumper. I have extremely thin lips, so the thought of a lip plumper that’s also hydrating is extremely inciting to me. Unfortunately, I’m not totally sure this is the one to do that. I didn’t notice many results from using it for a week straight. It has almost four stars at Sephora, so some people have definitely had more success with it than I did. If you do choose to give it a try, I would recommend going with a color and not the clear. I received the clear and the shimmery finish gave me terrible 90s flashbacks! Dr Brandt No More Baggage Eye De-puffing Gel. This product is amazing for under eye bags. It gets the puffiness down in hardly any time. I love using it especially on days when I’m heading out to shoot! That being said, it doesn’t do anything for eye wrinkles, which is what I really look for in an eye cream. If you have puffy eyes, I’d definitely recommend it, but you might have to still use a conventionaly wrinkle-combatting eye cream at night. These next three didn’t work great on my very dry skin, but B loved them so much that he has since ordered a replacement trio, so I’m letting him do the honors of describing them to you! 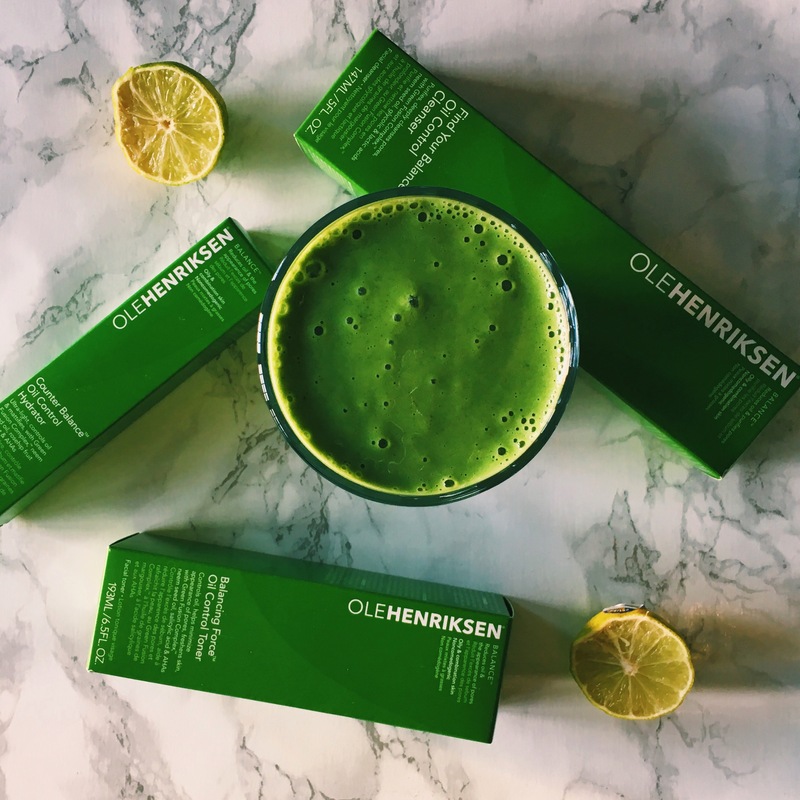 Ole Henriksen Find Your Balance Oil Control Cleanser. I’ve used a lot of different face washes and this is the only one that noticeably removes oils from my face. I like that you can use a very small amount to spread on your entire face (it comes out really thick). It gets rid of oils without making my skin dry and tight like other cleansers, and doesn’t leave bleach marks on my towels like benzoyl peroxide does, as an added bonus. I don’t love the smell of it, but it’s not too strong and once you wash it off the smell is gone, but that’s the only negative of it. Ole Henriksen Balancing Force Oil Control Toner. Toner is the toughest one for me to describe because I had no idea what it was until Caitlin told me it was the extra step in between cleanser and moisturizer. It’s gotten rid of nearly all of my clogged pores, and is a great extra step to get rid of dirt and oils in my skin. Ole Henriksen Counter Balance Oil Control Hyrdator. I really like the moisturizer, I wish they made the bottle twice as big since it doesn’t last as long as the cleanser does for me. I use it all the way down my neck so it does great work on razor irritation, for any guys who want to use it. It’s very lightweight, and easy to not put on too much. This one smells great, it’s very subtle so you wouldn’t really notice it if you weren’t putting it on your face, and the smell doesn’t last very long. It doesn’t leave any residue behind, and doesn’t add shine to my oily forehead, which is nice and hard to come by in a moisturizer for oily skin (from what I’ve found). Have you tried any of these products? Let me know what you think of them in the comments!